I have been involved with the evolution of the Internet for a very long time, and consider myself a student of the medium. And this website is part of that experiment. And it is a perpetual work in progress. Not everything on this site is in final form. Please drop me a note with your thoughts about my writings, errors you may notice or help with the half baked stuff. By profession, I am an engineer. My Professional Biography and Resume describe my professional background. Here I will say a bit more about myself, and provide a List of Publications, a small public photo gallery, a restricted genealogy, plus an explanation of autonomy and privacy aspects of the tools that I have chosen to build this website with. I went to high school at Andisheh «اندیشه» (Don Bosco) in Tehran. In 1978, I took Iran’s national university entrance exams (concours) and ranked 290th out of about 400,000 participants that year. But I decided to go to the US to attend Seattle University, and graduated with a Bachelor’s degree in Electrical Engineering in 1981. I then continued with graduate school at the University of Washington. I finished my Master’s thesis in 1982 and dropped out of the Ph.D. program in 1983. Here are a few pictures of my Andisheh, Seattle University and University of Washington days. Between 1983 and 1991 I worked for 9 different companies, large and small. Then I decided to start my own company. In 1991 I founded Neda Communications, Inc., and have been running that company ever since. In the 1990s, with Neda Communications, my primary focus was revenue generation. Within 5 years I grew a one-man consulting shop to 12 employees and annual revenues of over $1.2 million. Between 2000 and 2018, my focus shifted from revenue generation to philosophy, societal and social analysis and building of autonomy and privacy oriented internet services. The direction that current internet services are headed is wrong. This mistake should be understood and we should try to correct it. I have now completed the general contours of the following key concepts and constructs. Since 2018, my focus shifted to propagating ByStar and making the understandings of Poly-Existentials and Libre-Halaal widespread. I have been structuring my revenue generation activities around the ByStar Business Plan as an economic context for propagation of By*. Some of what drives me are my responsibilities. As a software and Internet engineer, I have certain responsibilities to my profession and my profession has certain responsibilities to society and humanity. Much of my activities have been influenced by these. The work and results enumerated below are not just my work. Many have been involved and many have assisted. I consider it reasonable for these to be labeled “My Activities and Accomplishments”, as I either played a clear leadership role, was the origin and driver of the concepts, financed the work or did most of the work. Where appropriate in each case, I elaborate on my role. 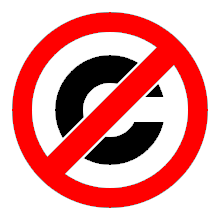 I am against limiting my work with restrictive copyright and patents. The results of my activities become public resources, available to all. Nearly all of my software and all of my public writing has been copyleft and libre. I was commissioned by the Electronic Mail Association (EMA) in 1991 to write two papers about Internet email and email attachments. At the time email was a novelty and many large corporations and the US government were on the X.400 bandwagon. My position then was that the dynamics that were driving usage of email, would converge on Internet email. In PLPC-120022, I subtly made the case for Internet email and away from X.400. A sister white paper, PLPC-120023, deals with problems and risks associated with email attachments. Many of my recommendations, published in 1993, remain valid – more than 20 years later. From 1992 to 1995 I played a key role in the formation and direction of the Cellular Digital Packet Data (CDPD) industry. I led the technical network architecture design for the CDPD specifications, and was also directly involved in many aspects of the planning, development and deployment of the CDPD network services. Around 1997, when AT&T Wireless abandoned pACT, on my own dime I took the orphaned protocols and published them as Internet RFCs. The lower layer of Libre Texting protocols is titled: “AT&T/Neda’s Efficient Short Remote Operations (ESRO)” and was published as RFC-2188. For its maintenance, esro.org was created. The process of publication of RFC-2188 involved a complaint against The IESG and the RFC-Editor and my rejection of the IESG’s invitation to put that RFC on standards track. Towards making the RFC publication more transparent, I published the full email records related to this RFC publication. http://mohsen.1.banan.byname.net/Records/200002071Patent Free Declaration for the ESRO protocol were made at the Free Protocols Foundation. In 1999, I published the second layer of Libre Texting protocols as RFC-2524 titled: “Neda’s Efficient Mail Submission and Delivery (EMSD). For its maintenance, emsd.org was created. I also web published the full email records related to this RFC publication. Patent Free Declaration for the EMSD protocol were made at the Free Protocols Foundation. we warned that WAP is booby-trapped with patents and that WAP is entirely unfit to play the role of wireless industry standard. That essay was later translated into French as “Le WAP a la trappe – Un expose sur le Wireless Application Protocol”. My goal was to increase privacy and autonomy of the texting medium based on the end-to-end model. I built persoarabic.org web sites in 2011 to focus on implementation and deployment of “The Libre-Halaal ByStar Digital Ecosystem” in the context of writing, publishing, communicating and processing in Persian and in Arabic. Strategically, as an engineer, I have very lofty plans. Some say it is insane. I want to create a complete parallel Libre Digital Ecosystem to stand against and in contrast to the existing Proprietary Digital Ecosystem. By “Digital Ecosystem”, I mean the whole thing. Software, internet application services, content publication and generation facilities and social and societal frameworks. Such an effort must be very multi-disciplinary and include, engineering, moral, societal, social, economic and business dimensions. Much consideration has gone into the choice of every word that is in that title. Preservation of ByStar user’s autonomy, privacy and freedom are the primary factors driving design of ByStar Services. The health of society is our goal. Such a large undertaking by such a small group should normally amount to not much more than pipe dreams. There are several reasons why I believe widespread usage of what we are building is viable and probable. First ByStar ideology is in harmony with nature. We understand the enormous, seismic force that accompanies halaal manner-of-existence of software and halaal manner-of-existence of Internet services (as expressed in the Libre-Halaal label). Manifestations of this force include the Free Software Movement and Linux. But there is far more to come. Second, there is a need. Many are starting to recognize that things like Facebook are very wrong. Healthy alternatives are craved for. Third, we have already built the needed framework and starting points. The big ByStar picture is shown in Figure 1. Each of the layers in this figure represents either a conceptual definition (shown in blue), or an actual software/service implementation (shown in orange). Each layer builds on the layers beneath. The gigantic picture we have drawn in Figure 1 is a blueprint. It represents a complete framework for collaborative work towards an alternative to the current proprietary digital ecosystem. By aligning ourselves with the natural forces and dynamics of poly-existentials, and by means of large-scale unrestricted collaboration, we can achieve this. I see my primary role as one of guardianship of the goals and direction and facilitation of collaboration and growth. So, very early on I formed the following structures and foundations. In 2000, I formed the Free Protocols Foundation, with the mission to maintain the integrity of public protocols, software and Internet services. In 1991, I formed the Neda Communications, Inc.. Neda is a consulting firm specializing in Internet and Linux. Neda engineers have developed ByStar Libre Services. The entire ByStar software is GPLed (Affero v3). Neda plans to profit from widespread usage of The Libre-Halaal ByStar Digital Ecosystem in a variety of ways. Around 2004, we built our own data center. It is distinct and different from other data centers in that is built purely on Libre-Halaal Software. At this time most ByStar Services are hosted at Libre Center. The Libre-Halaal model is not just theory. We have built a set of real, working, in-use Libre Services. We call these the By* Federation of Autonomous Libre Services. By* (pronounced “by-star”) is a unified services model, unifying and making consistent a large number of services that currently exist in functional isolation. It is a coherent, integrated family of services, providing the user with a comprehensive, all-encompassing Internet experience. The By* services are based on 100% Libre-Halaal software and patent-free protocols, and are thus completely transparent and reproducible by anyone. They are a communal public resource, not owned by anyone, freely available for use by society at large. Their widespread deployment and usage is in the direct interests of the general public welfare. Initially we are focusing on two convivial, User Environments for ByStar. Layer 7 is an economics and business conceptual layer, presented in yellow in Figure 1. It is in the form of an in use open business plan. The totality of halaal software, halaal Internet services, content generation and content publication facilities and societal frameworks that we described, forms the “The Libre-Halaal ByStar Digital Ecosystem”. The website you are looking at is an Autonomous Libre-Halaal Service. It is based completely and exclusively on patent-free protocols and halaal software. The By* services provide users with comprehensive computing and communications capabilities, while preserving critically important civil liberties such as privacy, autonomy, freedom of information, and freedom of speech. I invite you to try ByName out for yourself, and join the Libre-Halaal ByStar Libre Services community.